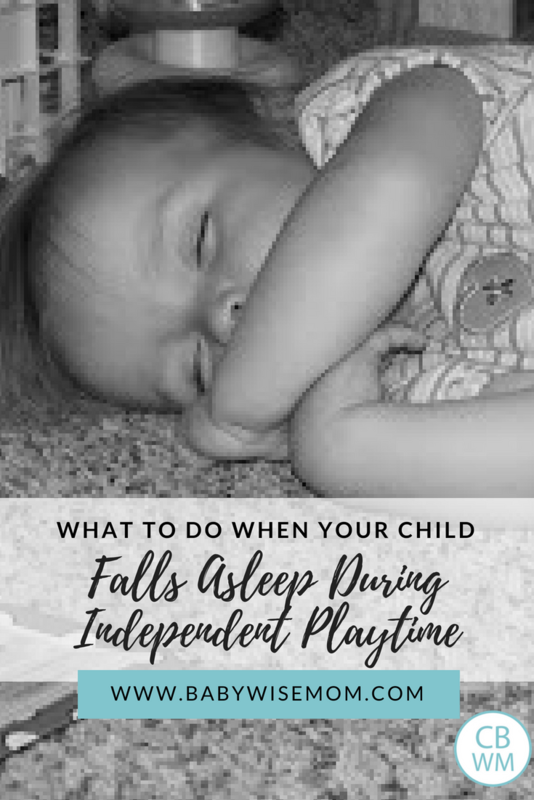 What to Do When Your Child Falls Asleep During Independent Playtime. There are times my kids will fall asleep during independent playtime. I find this to be a benefit of independent play. If Brayden woke early for some reason, is sick, or just needs more sleep due to a growth spurt, he can lay down and sleep during independent play. It is a rare occasion, but it happens. When my kids fall asleep for independent play, I just wake them and continue on with the day. For Brayden (3 years old), I know that when he falls asleep for independent play he is either sick or just plain tired. I still put him down for his nap at his normal time. For Kaitlyn (now 14 months), her independent play ends pretty close to her nap time (about 15-20 minutes before), and I am pretty surprised to find her asleep, but it happens sometimes. I always get her up and put her in her bed and she takes a normal nap. She is the type that will do that though. If your child falls asleep on occasion during independent play, decide what is best for him. Some might need a little longer time before the regular schedule nap. I think for most, though, they are falling asleep because they are tired. So a normal nap can still happen. 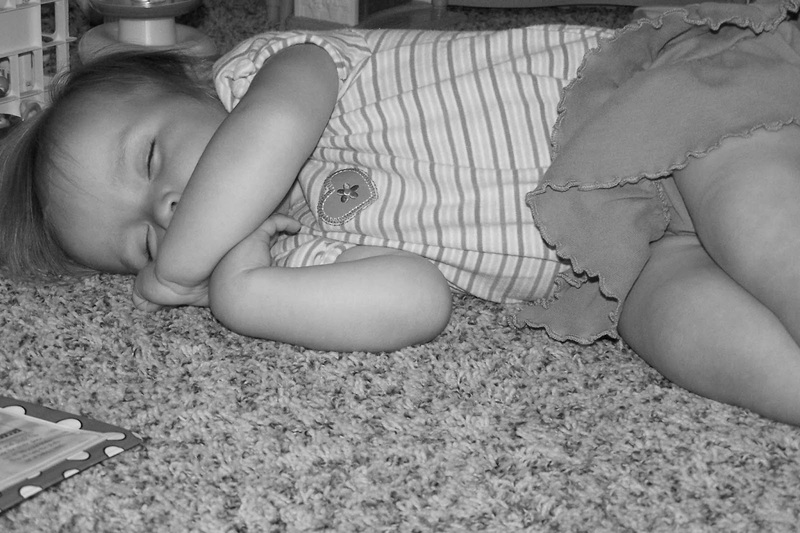 If your child regularly falls asleep, evaluate your timing of naps and independent play. You might need to have independent play earlier or end sooner. While it is okay for them to fall asleep sometimes, you don’t want it to be regularly. Next Post Poll Results: What was/is baby’s approximate optimal waketime length for ages 4-6 Weeks? (waketime length includes feeding time)? You have asked this question under “Creating a Good Helper” Check there for my answer. My 10 month old has always had playpen time and did well. She did 30 minutes 1x/day. This week, she HATES independent play time. She cries the entire time. Should I take a week off and retry next week? Susie,If it were me, I think I would still do it, but cut down the time. You could set a timer so your baby sees that the timer, not the crying, determines when it ends. You could do it for even just 5 minutes.